Drag and drop library shapes to create reliability block diagram. 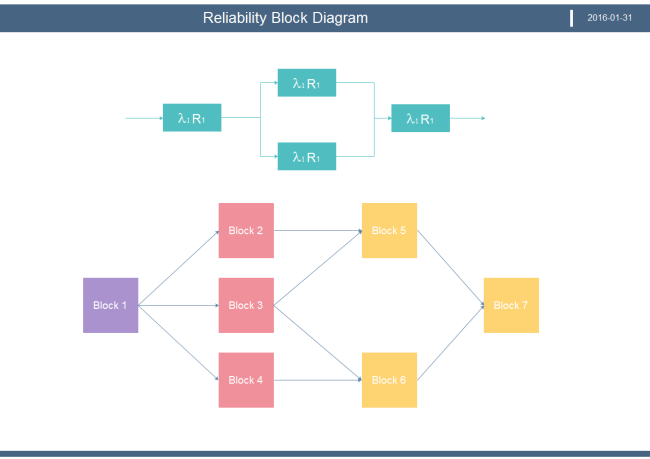 Edraw helps you make presentation quality reliability block diagram. Edraw 2D block drawing offers various basic 2D shapes that you can drag and drop to create your own designs. Just go to the Basic Diagram category, and double click "2D Block" to start a new drawing. 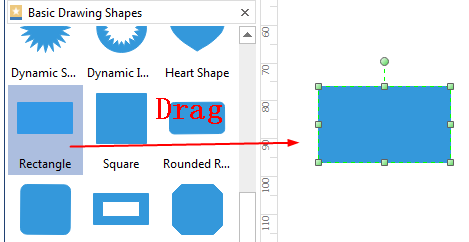 Drag and drop shapes from the predefined libraries. The shapes can be modified by changing sizes, colors and effects. There are two ways to connect shapes. 1. Use the Connector button from the Home menu. You can choose right-angle connector, curved connector, straight connector or freedom connector. 2. Drag and drop connectors from the Connector library in General category. If the default connection points are not enough, you can add more connection points at any place of the shape. Simply click the Connection Point Tool under Home menu. You can double click a shape to input text. Also, through the Text button under Home menu, you can insert text blocks anywhere you need. To insert a special symbol, you can go to the Insert menu, and click Font Symbol. Discover why Edraw is an awesome reliability block diagram maker: Download it Now.